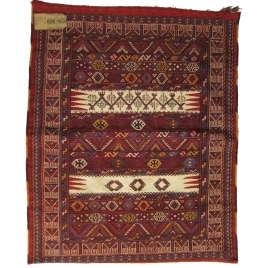 This unusual old bag is a Kurdish Grain Sack from N. Iraq. 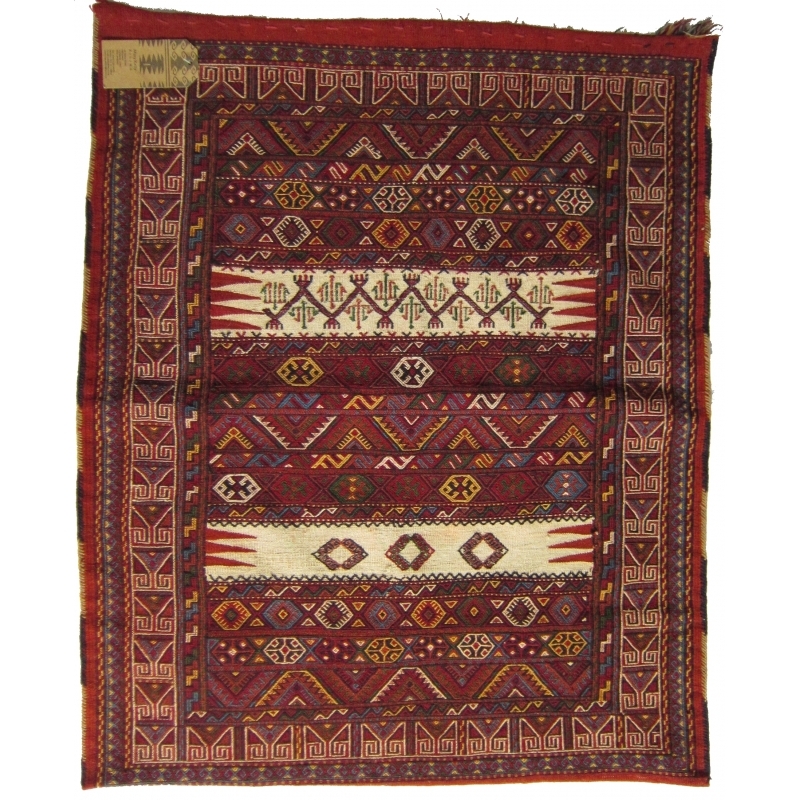 The front side is worked in fine soumak technique; the back side is beautifully embroidered with various symbols on a plain background. A unique collectors' treasure.